Off the Block announced Monday that Earnest was selected as the Off the Block National Freshman of the Week. With BYU trailing No. 4/4 UCLA and the team’s starting setter suffering an in-match injury, Earnest was inserted into the lineup and led the Cougars to a comeback victory on Thursday. 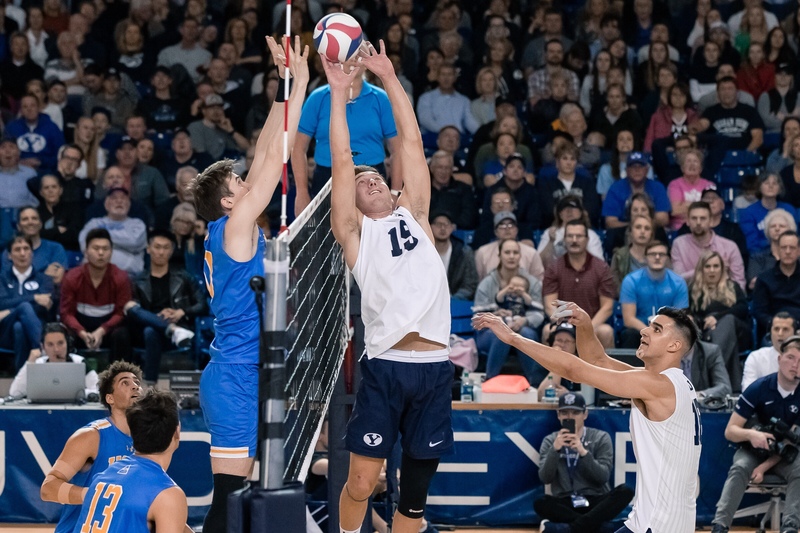 Earnest guided the offense to a .373 attack percentage in the final three games as BYU rallied from a two-game deficit to beat UCLA. Earnest two days later made the first start of his college career and finished with 40 assists while helping BYU to hit .241 in a four-game victory against No. 6/6 Pepperdine. The Cougars with this victory jumped to second place in the MPSF and a half-match behind the first-place Bruins. This is the second BYU player in 2019 to win the National Freshman of the Week. Outside attacker Davide Gardini is a three-time recipient of the national award, including receiving the accolade earlier this month. The National Freshman of the Week is presented each week during the regular season to the NCAA Division I-II men’s volleyball freshman who had the most outstanding performance. The winner is selected by the Off the Block staff and is announced every Monday during the regular season on the Off the Block website, offtheblockblog.com. Along with the National Freshman of the Week, Off the Block will present the Freshmen All-American Team at the end of the regular season.